For narrow, compact utility applications. Seat is 15 1/8" wide. 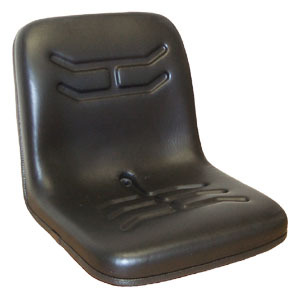 Comes with adjustable mounting brackets that allow the seat to tip forward. Cushion is vacuum formed. Drain holes prevent water build-up. Vinyl covering and contoured cushions provide maximum comfort and durability.